You go dry and the next person can participate. That's part of the strategy. If you want to participate daily you might want to throttle it back so maybe it is every half hour (30) or hour (60) depending on your total bank roll and when spent coins are eligible again (min coin age). Just my humble advice. ps2: if i did 3x 8.1 bbp tithe, why it is in pogpool report as 24.00 and not 24.30? or from other view, if there are only whole numbers counted as tithe, why autotithe is sending also decimals? Yeah, I'm watching it, I am just being strategic each step of the way. Basically the first problem is the difficulty hasn't dropped yet; I feel we don't have to do anything on this front yet, as it should drop drastically as people upgrade. I've actually been looking at your tithes in each block (as you are one of the honest ones). Not that the hackers are getting in the pool, they are just trying to. One thing I noticed about your tithes is the same thing Vahtis reported - some of our auto tithes are .01 bbp too high, and they are being prevented from entering the pool - yet the actual tithe you sent is raising the difficulty by that amount. I'm sending out a leisure now to fix the auto tithe issue. Im trying to do this one step at a time. Other than that, I feel everything will be OK as people upgrade to 1.1.9.3 - 1.1.9.4. Your right though in general, the small miners are not getting in- we should see a huge increase in participation as people upgrade. 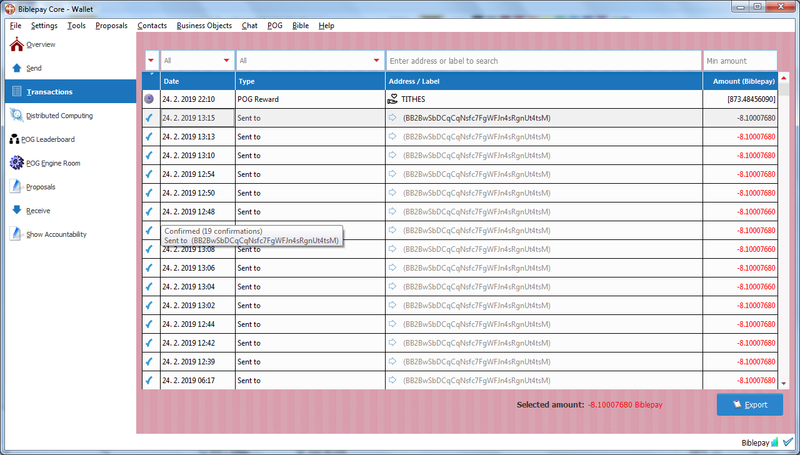 Looks like problem #2 is PogPool and PogPool UI aren't displaying the full scale, fixed in 1.1.9.4.
yet the actual tithe you sent is raising the difficulty by that amount. It looks like you're able to detect the illegal tithes, but the PoG difficulty is counting donations whether they are qualified PoG Tithes or not. I see why PoG difficulty is so high now. So, if someone wanted to donate 75k BBP out of the goodness of their heart, none of us could PoG tithe for that day? If I understand everything correctly, this would affect only next 6 hours to difficulty and would make next payments smaller than tithes. Yeah, thats a nice idea. Could someone please enter a github for it? So, having denom of .001 is what prevents it from participating in exec bankroll not being in the TITHE address? Thanks Rob. This is working as expected. No that won't happen - the difficulty problems circumstance is just when the tithe fits the difficulty parameters for the range (IE it has the right characteristics for the period) but for the pindex itself, it didn't make it - another words, it was inducted into the map because it appears to be legal, but was not inducted into the pool because it was illegal. To say this in a simpler way, our memory pool rules were not strong enough to reject illegal tithes in the prior version at that level, so that once 51% upgrade, the diff should also correct itself. We also have two more layers of room however above this - but its not important to cover yet. (Another words we have a backup plan in this mandatory phase to correct the diff if 1194 fails to correct it but I don't anticipate us needing that network change). On a side note, any large tithe (> 10 bbp) does not affect the diff at all. Also, in the latest clients we use a different foundation address for large tithes also (even though what I just said was true regardless of the address this is just to keep the large tithe out of the pool altogether). Fortunately, things aren't thaaat bad. Ha ha. level. To prevent illegal tithes. 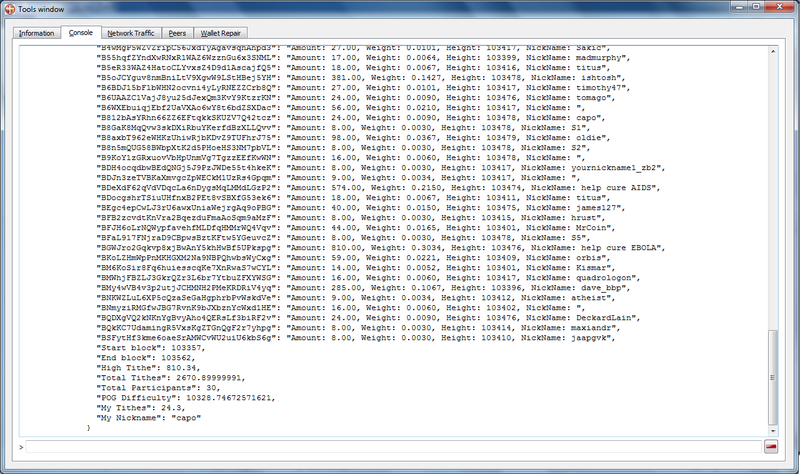 - Ensure Pog Pool displays full tithe amount scale (and pogpool rpc command). MacOS and PPAs versions are also available. That makes sense because difficulty only looks 50 blocks back (205 blocks a "day"... ~6 hours). Payment would be less than tithes because overall pool payout exceeds donations? If the tithe is "illegal" for PoG, wouldn't it be excluded from the daily PoG payout calculation? Illegal tithes don't get inducted into the pool. So pool payouts are only based on legal tithe share weight %s. "CryptoBridge Enforces User Verification on US Citizens"
Check the BBP amount he is selling every trade; I guess he's trying to send out a message. If the message is, "I'm an emotional infant", then yes, I got it. 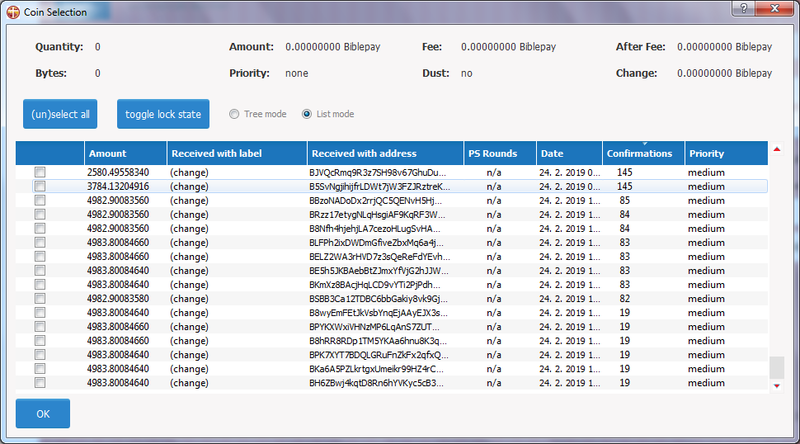 We will make an enhancement soon that will free the transactions that were rejected immediately (so that people do not have to restart the wallet to free those tx). On the rest of this, please wait til we have 80% upgraded to 1193+. This is because we really need to see the pogpool behaving correctly before I explain how to run the command that shows your total in/vs tithed (doing it now will just confuse everyone, as we have a lot of tithes on the old versions). EDIT: I was receiving a database error when posting, please disregard.